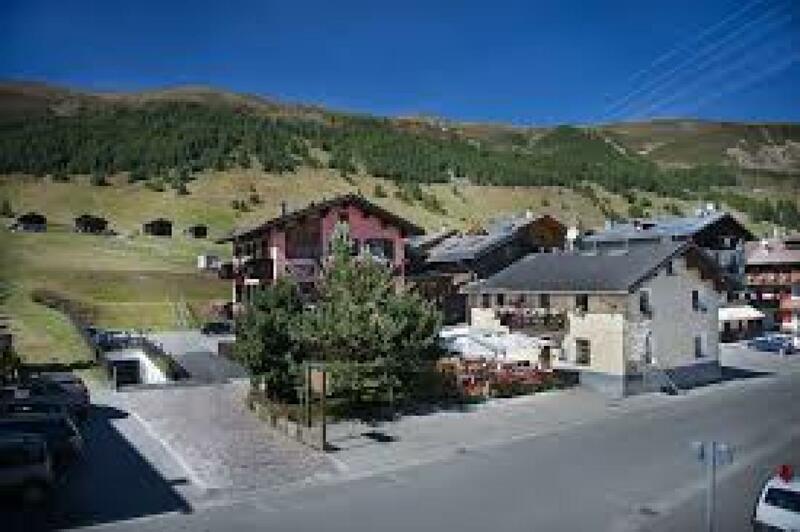 Are you searching Hotel Astra Livigno, the data you find on this page are copied from the Hotel Astra Livigno official web site. You can contact directly the Hotel Astra Livigno owner by clicking at the page bottom on Request availability or you can visit the official page CLICKING HERE. Double rooms with loft and bath. Occupation 2 to 4 people. 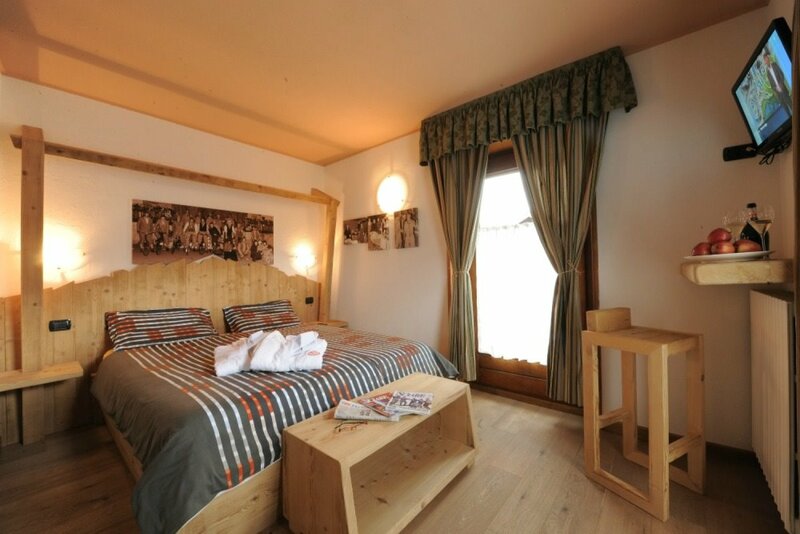 The rooms "with loft" are located on the second floor of the central structure of the hotel all have a private balcony and enjoy beautiful views of the mountains of Livigno. The rooms are suitable for families because they are more spacious and with two semiseparate areas for adults and children. The bathrooms have a window and are equipped with whirlpool bath or steam shower with jacuzzi. These rooms are paved with natural wood. The beds are with orthopedic slats and guarantee a good rest. Double room or twin beds. Occupation 2 to 3 persons. The Comfort rooms are located in the hotel's central structure arranged on the ground floor and first floor. Three of the four rooms on the ground floor have direct access from the garden. The beds can be prepared to double or split into two singles; private bathroom with shower. Double rooms with Tempur mattresses and hot tub. Occupation 2 to 3 persons. 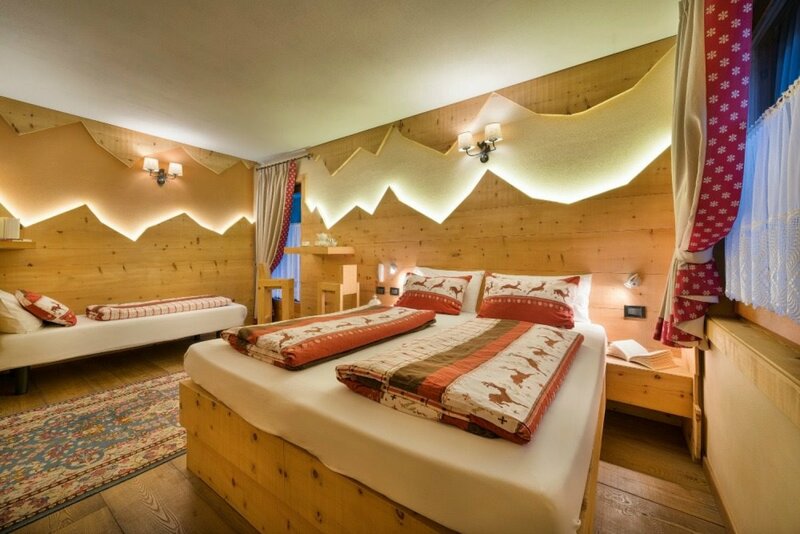 Special rooms are located on the first floor and have a fantastic view of the slopes of the ski area Carosello 3000. These rooms are larger than the comfort and all have bathrooms with window and bath tub with shower. 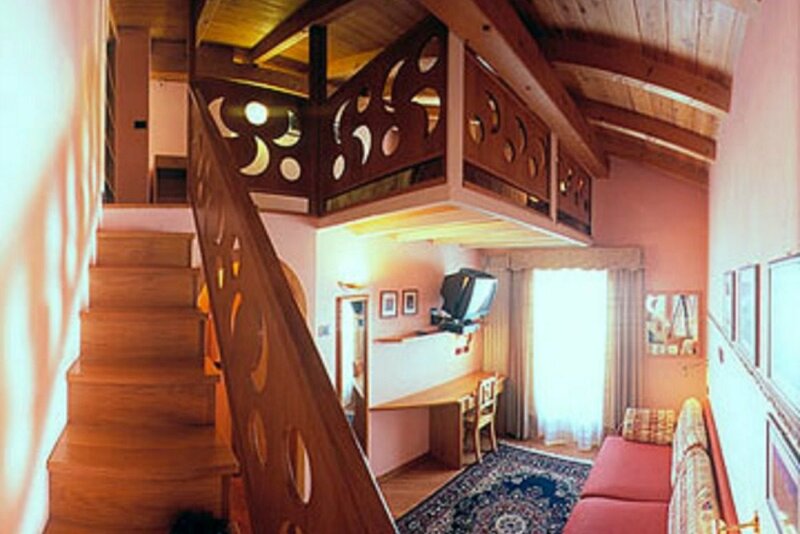 The rooms are paved with natural wood and have private balcony. The beds are with orthopedic slats and equipped with Tempur mattresses. This room can be booked with the addition of a third bed. small rooms with a maximum occupancy of 2 people. Small rooms are on the first floor of the hotel and are paved with natural wood. These rooms have a private balcony. This room can also be booked for single use. small attic rooms with a maximum occupancy of 2 people. 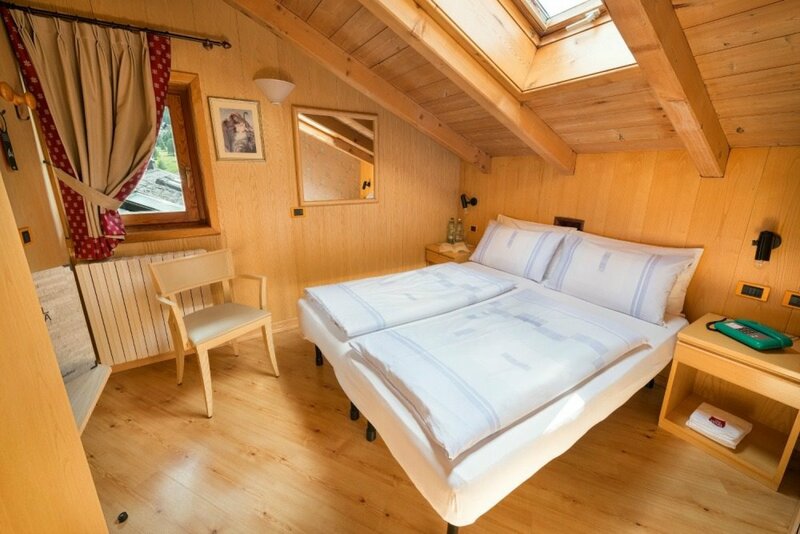 The attic rooms are on the second floor of the hotel and are paved with natural wood. The two rooms are adjacent and only one has a balcony with a view facing the mountains. This type of room can also be booked for single use. The beds are orthopedic, and may be prepared to double or split into two singles; bathroom with window and shower.